Application: Structured building cabling with FO backbone, LAN cabling from R&M. Integration of all services in a LAN (All over IP). and with a short time span of just eight weeks? These were the questions the project planners at Jungfraubahnen Management AG were asking themselves. 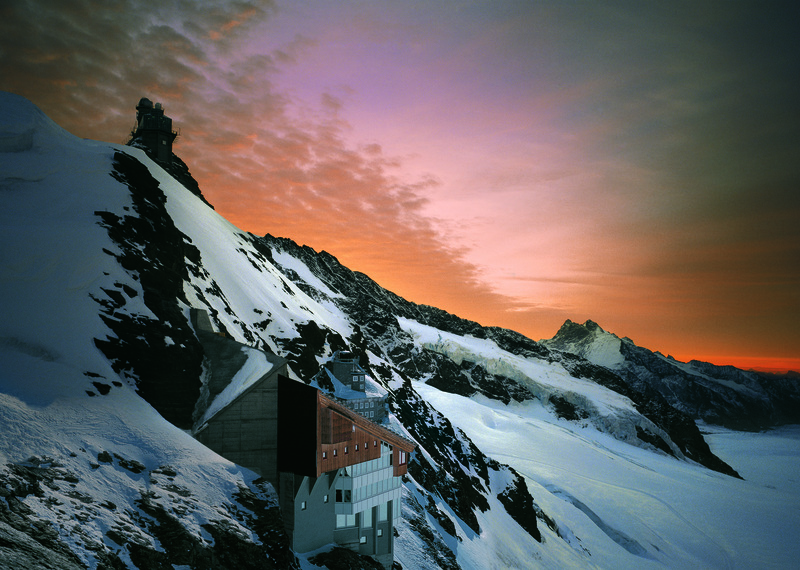 The operators of the tourism destination Jungfraujoch wanted to have a new network installed as part of their renovation and modernization plans. There were plenty of climate and logistics tasks to be solved in this project. The Jungfrau railway itself was used to transport the construction material. Because it has a very limited capacity, 80 percent of the installation work had to be completed in eight weeks between mid-February and mid-April 2014. The logistics coordination could be nothing short of perfect. R&M had to adhere to precise delivery times and quantities. Some of the installation material had to be packed in a weatherproof fashion in interim storage facilities outside the buildings. One hundred phone and 200 LAN connections were installed at 3454 meters above sea level. Furthermore, the R&M cabling solution comprises more than 5000 robust connections for railways, ski lifts, chair lifts and the tourist infrastructure. FO cabling has been used as backbone since the year 2000. It was also provided by R&M. A new, two-story engineering room is used as HQ for the communication infrastructure. 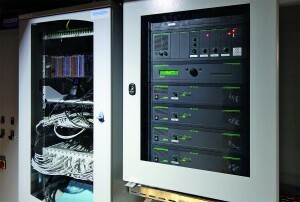 It is connected with 20 network cabinets and distributor halls. Today, all the information and communication services on the Jungfraujoch run efficiently and inexpensively over the standard Internet Protocol (IP). The Jungfrau railway can even guarantee access to three mobile networks in the railway tunnel.